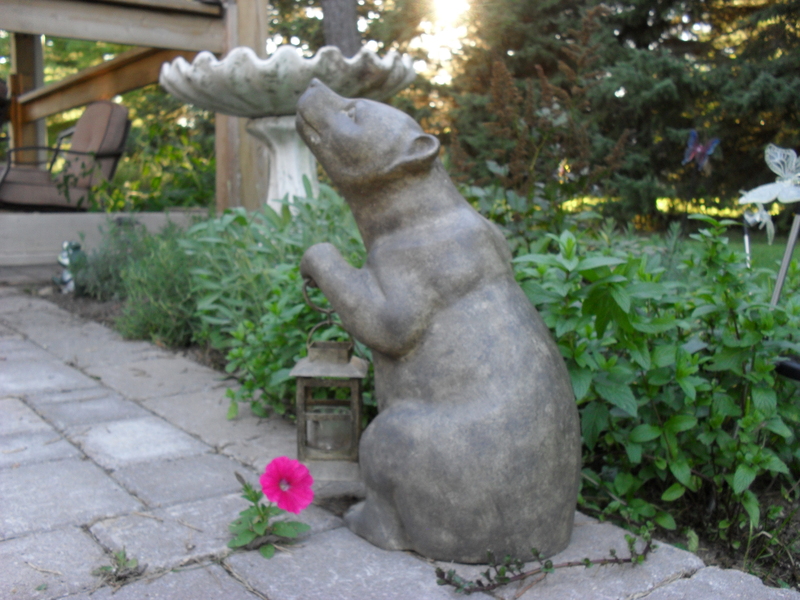 Last May I wrote about a very special garden in the front of our home. This garden had a mind of it’s own, and would not yield to any of my attempts at planting flowers. Eventually, I gave up and simply plopped a strawberry plant container on it to conceal the empty space. Surprisingly, at the end of the summer, the strawberry plants grew over the container, and somehow planted themselves into the soil of this magical garden. A few years later, another surprise flower emerged. If you are interested, you can read the rest here. This fall has brought another surprise for our family – this time in our backyard, near the lavender and herb garden. 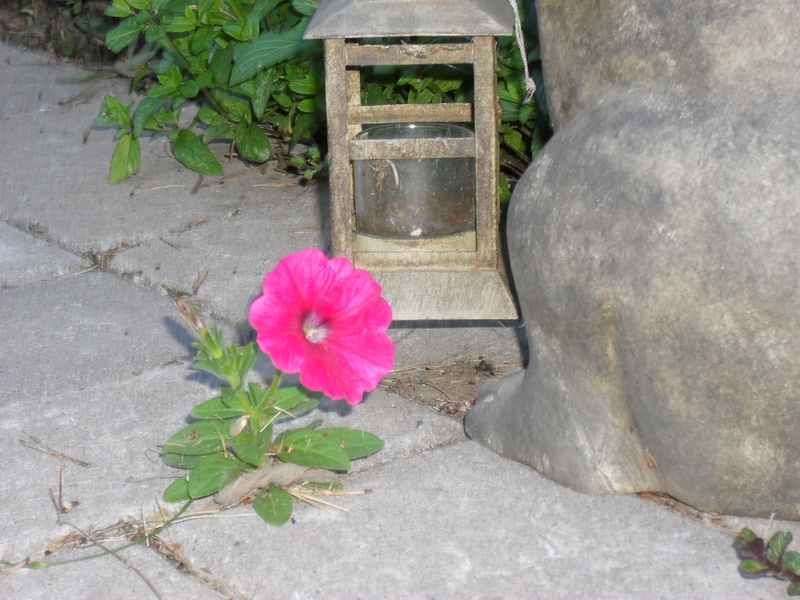 A beautiful deep pink carnation has somehow joined us growing in between the stones of our walk-out patio. What is so amazing is that there are no carnations in any of our gardens. I am so grateful for this small miracle. when our hearts are open to receive them. This entry was posted in Uncategorized and tagged Blessings, C.S. Lewis, Flowers, Gardening, Grateful, Gratitude, Miracles, Thanksgiving by flexiblyblessed. Bookmark the permalink.